Courtesy of The Steele Group. Gorgeous brick home overlooking Wyndham’s lake and the Dominion Club updated with high-end and custom features throughout! 6 spacious bedrooms, including a first floor master, and 6 ½ bathrooms. Beautiful kitchen with custom cabinets, granite counters, island, high end stainless steel appliances, including integrated Sub-Zero refrigerator, Jenn Air ice maker, and two Miele dishwashers, as well as new drinking water system. Over 5,800 square feet of meticulous living space include family room with fireplace featuring beautiful stacked stone surround and flanked by arched built-ins, a wet bar with icemaker and Sub-Zero wine fridge, and formal living and dining rooms with triple crown molding. Spacious laundry/mudroom, private staircase to office/guest suite, and huge bonus room on 3rd floor. 10’ ceilings on 1st floor and 9’ ceilings on 2nd floor. Brick paver driveway and patio. 3 car garage. Improvements galore including new water heater, central vac, and whole house smart system to control sound, lighting, HVAC, security and intercom. Don’t miss this entertainer’s dream home with covered patio, custom lighting, and outdoor kitchen complete with Lynx grill, tv and built in Green Egg! Please, send me more information on this property: MLS# 1906884 – $1,290,000 – 11900 Lerade Court, Glen Allen, VA 23059. 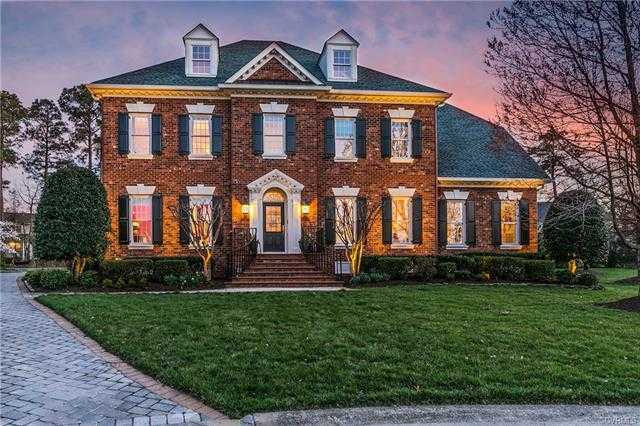 I would like to schedule a showing appointment for this property: MLS# 1906884 – $1,290,000 – 11900 Lerade Court, Glen Allen, VA 23059.